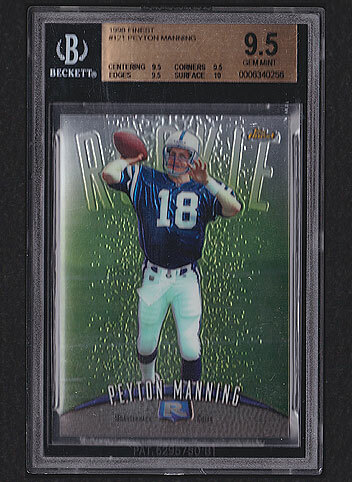 Want to see all Peyton Manning Football Cards in inventory? 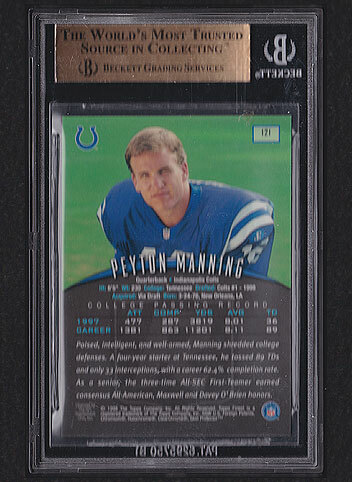 Details: Terrific 1998 Topps Finest Peyton Manning #121 RC graded BGS 9.5 GEM. FREE SHIPPING!